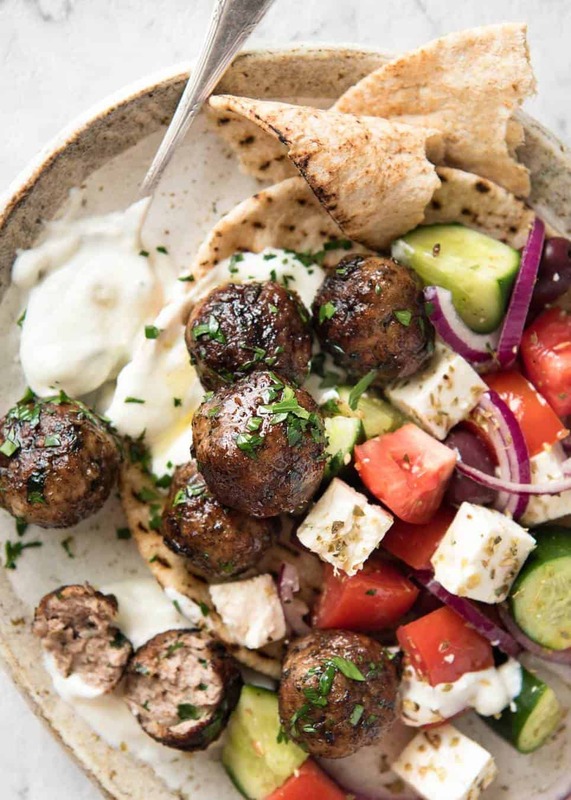 These juicy Greek Meatballs rock! A traditional recipe, beautifully flavoured with red onion, fresh parsley, a touch of mint and hint of dried oregano. 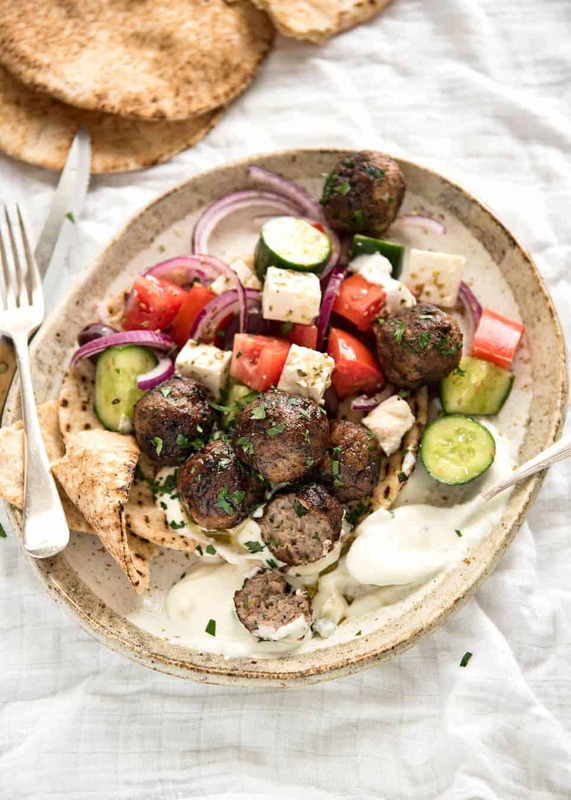 These meatballs are slightly crisp on the outside and are brilliant served as an appetiser with tzatiki and pita bread as part of a mezze spread (very Greek! ), or as a meal with a salad. Monday Meatball Mania is here! The rules are simple and the logic powerful: my friend Jo from Jo Cooks and I both agree that meatballs are the King of all Ball Shaped Foods. There cannot be too many meatballs in this world. So at the beginning of this year, we embarked upon a mission to make this world a better place by contributing even more meatballs. So on the last Monday of every month, we each publish a meatball recipe. And that, my friends, is the only rule. 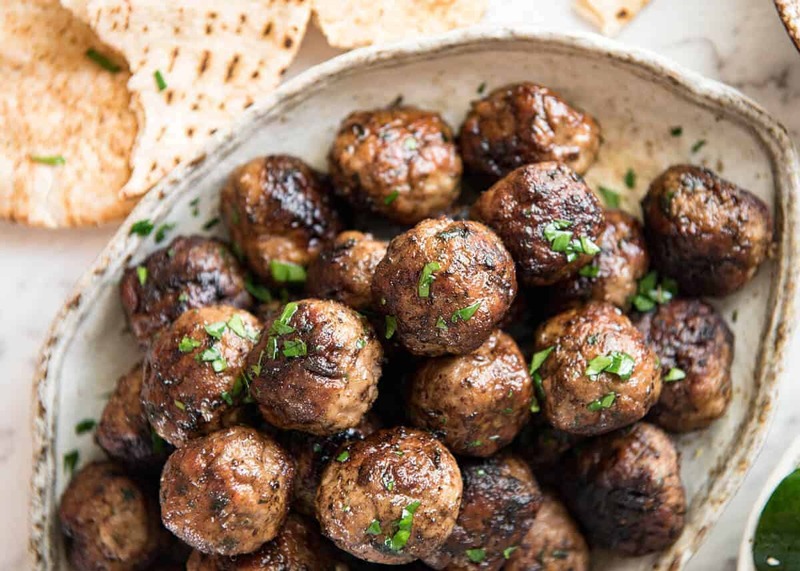 Giant meatballs, mini meatballs, stuffed meatballs…..ahh, the possibilities are endless! Today, I’ve kept it respectably “normal” with these Greek Meatballs. One day I’m going to shock you with an outrageous meatball creation…. just you wait! Just pop all this in a bowl, then squidge away with your hands to mix it all together. To make them easier to roll and to maintain a nice round shape while pan frying, just pop the mixture in the fridge for an hour before rolling into balls. Greek Meatballs are dusted lightly with flour before pan frying. This creates a lovely light crust, sort of like when you dust fish / chicken etc with flour before pan frying. I really love this touch, but it’s not essential, you could actually skip it. PS If you really want to go all out, serve this with Easy Soft No-Yeast Flatbreads! PPS This past weekend I went camping and made Greek “Burritos” with these meatballs using Lemon Rice Pilaf, baby spinach and cheese. Rolled them up in foil and pan fried them to warm up and melt the cheese, then we dunked them in tzatziki. No washing up and lip smackingly delish – even the kids went nuts over them! Juicy Greek Meatballs (Keftedes), beautifully flavoured with red onion, parsley, a hint of mint and dried oregano with a slightly crispy surface. See recipe video below. Grate the onion straight into a large bowl, then add remaining Meatball ingredients. Use your hands to mix well for a few minutes until the mixture is quite smooth and very well combined. Optional: Refrigerate for 1 hour - makes them easier to roll + retains round shape when cooking. Measure out heaped tablespoons and dollop onto a work surface - should make around 32 - 35. Then roll into balls. Heat most of the oil in a large skillet over medium high heat (medium if you have a strong gas stove). Use enough oil to cover the surface of the skillet. 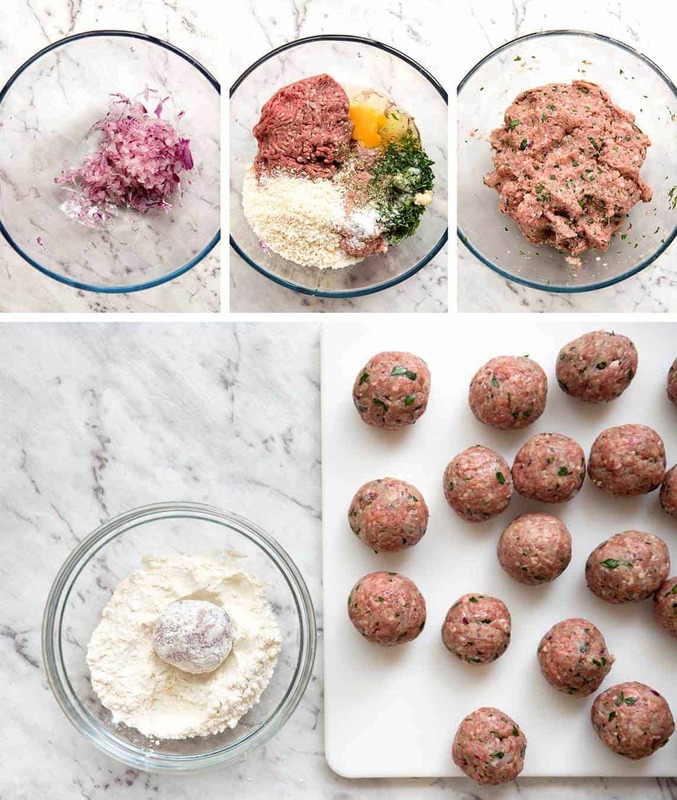 Cook in 2 to 3 batches: Dredge meatballs lightly in flour, shaking off excess, then place in the skillet. Roll them around and cook for 5 - 6 minutes, until nicely browned all over. Remove onto plate, cover to keep warm and repeat with remaining meatballs. BAKING: Alternatively, spray generously with oil (preferably olive oil) then bake at 180C/350F for 20 minutes or until browned. The pan frying method is the traditional way and the meatballs are slightly juicier. Serve as a starter as part of a mezze platter with pita bread and tzatziki, or make dinner plates by adding a salad like a Greek Salad! 1. These freeze extremely well, and when reheated they are still nice and bouncy i.e. juicy! 2. 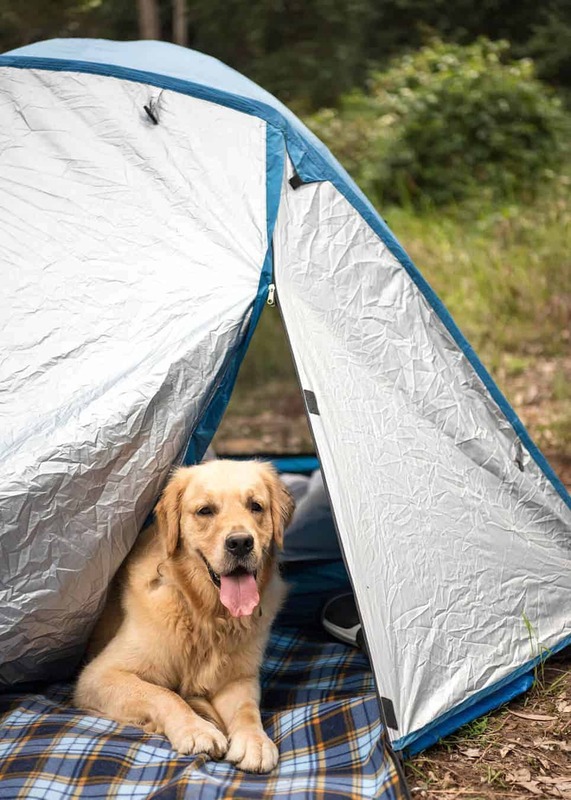 Standby meal / camping: Another serving suggestion is to make "burritos"! Ideal because the meatballs stay nice and juicy. I used large tortillas / flatbreads, and stuffed them with Lemon Rice Pilaf, these Greek Meatballs, cheese and baby spinach. Rolled up tightly, wrapped in foil then frozen them. To serve, defrost then either bake or cook over low heat for 8 minutes, turning regularly, until crispy on the outside (do this in the foil). Then serve with tzatziki to dunk them in! I went camping this past weekend and this is what I took for one of the meals - fantastic because there's no washing up. 3. A wonderful authentic recipe from My Greek Dish food blog. I only very slightly adapted it - e.g. used normal mint instead of spearmint, reduced oil in mixture to 1 tbsp and used panko instead of normal breadcrumbs because they make slightly softer meatballs. 4. See notes above the nutrition table for commentary on the nutrition and how to reduce the calories. 5. Tzatziki: 2 Lebanese cucumbers (grated with juice squeezed out), 1¼ cups / 300g plain Greek yoghurt, 2 tsp white wine vinegar (or red wine or apple cider vinegar), 1 tbsp lemon juice, ½ garlic clove, minced, 1 tbsp extra virgin olive oil, ½ tsp salt, Black pepper. Mix ingredients and set aside 30 min. It's also terrific just served with plain yoghurt. You could doll up the yoghurt a bit with a squeeze of lemon + olive oil + salt & pepper + garlic. However, these meatballs are juicy enough to even eat plain, freshly cooked. 6. 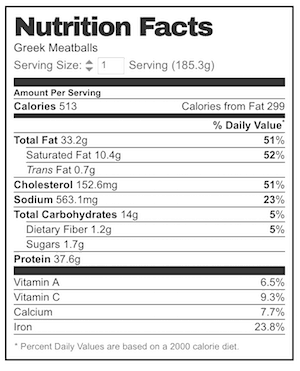 Greek Meatballs nutrition per serving, meatballs only. I took a conservative position on the amount of fat left in the skillet that is discarded so the actual calories are under 500 calories a serving. Also if you use lean beef and pork, that will reduce the calories further. You could also cut out the olive oil in the meatball mixture to reduce it even further. I cooked these again last night after tweaking the recipe, and it was the best ever. The first time I made them they seemed a little dry, although they had a great flavor. (My fault, probably.) I’ve cured this by grating a raw potato into the meatball mixture. It makes the meatballs exquisitely moist, balances the seasonings, and contributes that touch of magic that the humble potato adds to everything. I made these today and they were AMAZING! I left out the flour at the end, but it turned out great! Thank you for sharing this recipe! I’m so glad you loved them Stephanie! Looks great! I have a gluten sensitivity, would I be able to leave the breadcrumbs out? Yep… We’re still here… And we ain’t goin’ nowhere…. These were delicious. And approved by my Greek father-in-law. He says they’re the real deal. We like salt too much and added a bit more than the recipe called for. We baked and pan fried, both delicious, pan fried had a bit more flavor. Totally loved these. And just like your lentil salad they were a hit. Hi Nagi . I’m going to freeze some of the meatballs so is it best to freeze them cooked or raw. Every recipe of yours is amazing so thank you for making cooking such a pleasure. How many meatballs does this recipe make and how many are in a serving? Also, how large are the meatballs? I was born in Greece and my Mom and Gramma used to make these meatballs all the time. I have to say this recipe is amazing and very authentic. I also add veal and double the fresh mint. Everyone I serve them to absolutely loved them and ask for the recipe. I’m going to try a lot more of your fabulous recipes ! Thank you so much for this recipe…absolutely delicious! Also made your tzatziki and Greek salad. What a lovely, healthy and tasty meal. Meatballs were so moist and tasty with a lovely crust. Yum, yum, yum is all I can say! Plenty left for another couple of delightful meals. 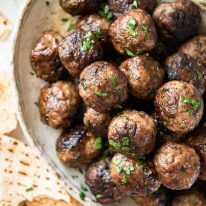 Meatballs look awesome… as i dont eat pork ,can this be made with turkey and lamb/beef? If so how much of each? Thanks. Can meatballs be kept warm in a crockpot and served with sauce on the side? I’m looking for a meatball recipe that I can do that with as I want to serve a few different sauces. Maybe with a bit of broth in the bottom of the crockpot? Blasphemy! Greeks never serve keftededes with sauce! Made these today, they were juicy, flavourful. Added a bit more mint, and served for dinner with warm pita bread, home made humus, a greek salad and tzatsiki, wonderful! Will make these again for sure. They’d make a great appy at a party or pot- luck contribution. Definitely not a quick dinner but excellent recipe! Made the Greek salad too and served with homemade paleo naan. Such a delicious combo. Keeper! Had these last night with the Greek salad, I substituted beef and made them from 1/2 pork +1/2 lamb, yum. Thanks again for easy dinner recipes. This recipe sounds so yummy – want to make it. Want to make the tzatziki sauce with it but have one question – what is a “Lebanese” cucumber? I have never heard of that before. Many tks. Looking forward to making this – my mouth is watering. Hi Nagi this recipe looks delicious ,I would like to make these for a party soon,could I cahange the panko breadcrumbs for rice crumbs as my little grandson is allergic to wheat but loves meatballs .would it make much difference as I don’t want to jeperdise the meatballs. I love your recipes thanks for all your yummy ideas. I made these meatballs tonight and I did them in the oven as I had doubled the recipe and figured it would take to long to pan fry all those meatballs. My question is, when you bake them in the oven do you omit the flour dredging process? I did the flour dredging, but I found that it left a bit of a flour aftertaste – it really didn’t cook away. Is this because I baked them? They were still very good and everyone enjoyed them, but I think I would probably omit that one step when using the baking method. What do you think? Do not use flour when you bake them. I finally got to make these meatballs tonight — they were awesome! just as described — lightly crispy outside and tender and juicy inside. fixed a greek salad with my favorite dressing. i had never thought to coat with flour before – just that light coating gives them such a wonderful texture. As usual, Nagi, your recipe is spot-on and will be a keeper in our house. There’s nothing like homemade meatballs. Might take some time to prepare but SO much better than anything you’d find in the frozen food aisle. That’s for sure.